Commissioned painting. 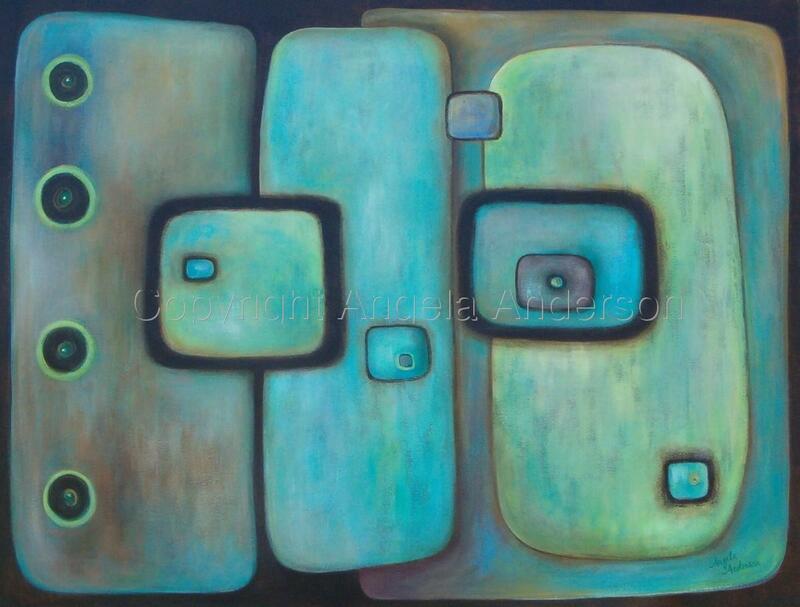 Beautiful aqua colors in fun geometric shapes. Contact artist to order something similar.